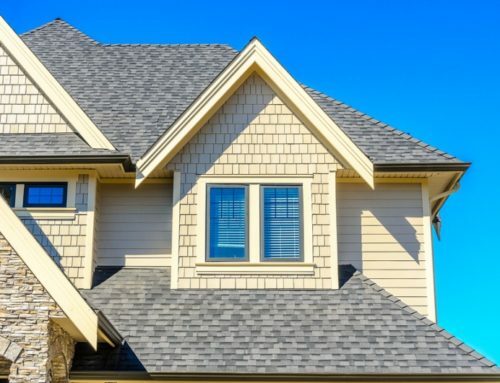 What are Your Roof Replacement Financing Options? 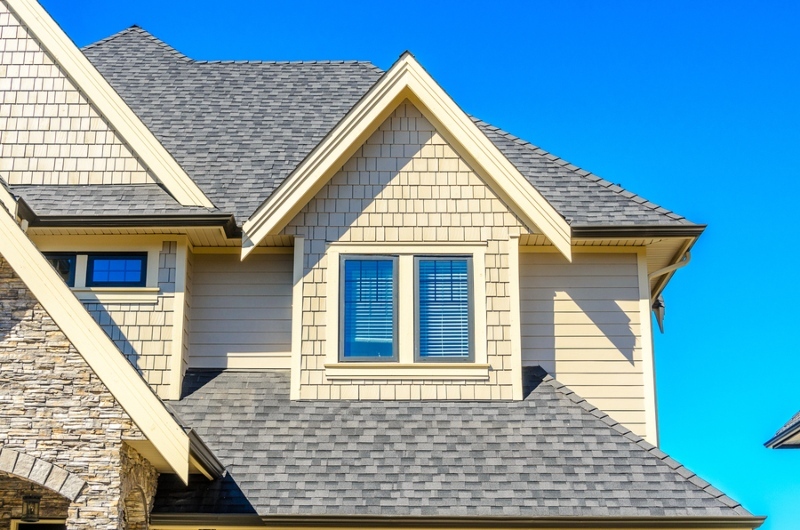 Your roofing is an important investment. 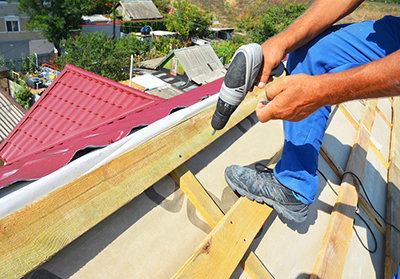 You invest time and resources to produce a roof that is sturdy, safe, and long-lasting. If you’re a homeowner, you want a beautiful-looking roof that your family will enjoy for a long period of time. As for business owners, they go for a commercial roof that’s reliable and low-maintenance. Whatever type of roofing you may have, when it reaches the end of the road, it’s time for roof replacement. Good thing, there are more flexible roof replacement financing options today. Admittedly, roof replacement is a costly project. For one, materials and labor are expensive. If you don’t have the upfront cash to pay for it, no need to panic. You still have the chance to rebuild your roof. To lessen your worries as a home or building owner, let us show you the options out there. Reroofing project for a residential property. If you cannot self-finance or use cash, you can turn to credit cards. There are roofing companies that accept credit card as payment for roof replacements. You may also ask your credit card provider if this is part of the coverage. Should your existing credit limit wouldn’t suffice, there’s another route that you can take. You can try applying for a new credit line. Make sure that it can cover roofing projects and has flexible terms such as an interest-free period or monthly payment options. A home equity line of credit (HELOC) is a type of loan which gives you the opportunity to borrow money from your existing equities. HELOC uses your own property as collateral. Like any normal loan, you can repay it gradually over time depending on the terms and conditions that you have agreed upon. 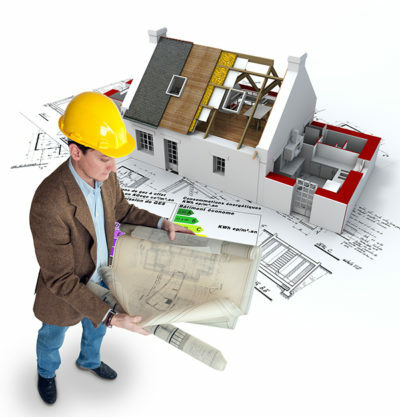 There are roofing companies that offer financing options to cover your replacement projects. There are roofing companies that can take on roof replacement financing. If you are curious how they do it, it’s pretty simple. These companies partner with banks to make financing possible. On the other hand, there are large roofing companies that have in-house financing capabilities. 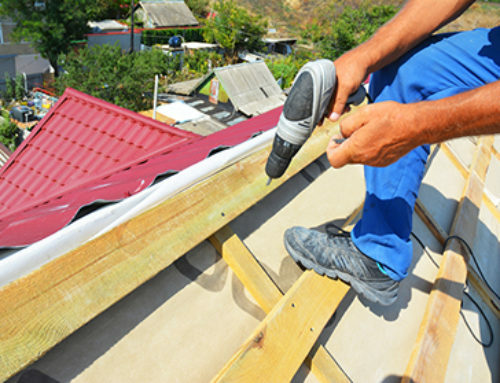 Find a reputable roofing contractor in your area and inquire about their financing terms. There are companies that offer flexible payment terms which you can take advantage of. There are different kinds of loans and one of them is called a personal loan. Check with your current bank if they can extend you this particular service and state your reasons for availing of it. There are instances when they release funds which you could use for roofing projects like replacements. However, you have to double check the terms as it may have corresponding interests. Before you decide, weigh all your options and see what is the most advantageous for you. There are government departments offering loans that you can use for home improvements or rebuilding projects. For instance, the Federal Housing Administration (FHA) has roof replacement financing loans that you can apply for. Homeowners and building owners may contact their office directly to inquire and obtain the list of requirements. When to Get a New Roof? Not all roofing issue points to roof replacement. 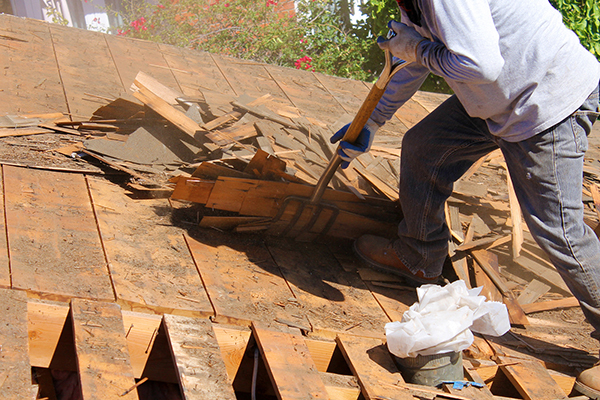 There are minor damages that you can solve faster through professional roof repairs. However, there are situations that immediately call for it. Let’s give you a quick guide on how to spot telltale signs by way of questioning. How will do you know if it’s time (and urgently needed)? We’ll throw the questions back to you. 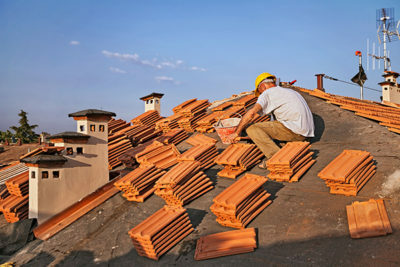 By asking the following questions, you will get an initial idea if you badly need a new roof. Question #1 – How old is your roof? Having second thoughts about your roof’s condition? There’s a way to figure it out. Find out how old your roofing is exactly by checking documents or asking your roofing contractor. An old residential roofing subject to a replacement. An aging roof is definitely subject to replacement projects. Yes, you can prolong your roofing’s lifespan but when it finally reaches the end of the line, it’s time to get a new one. Don’t worry if you don’t have the funds as of the moment because there are roof replacement financing options that you can avail of. Question #2 – Can you see sunlight from the inside? Is there sunlight peeking through from the inside of your home or commercial building? This is not a good sign for it only means that there are huge holes or missing parts like shingles. If light can penetrate unwanted areas, it can also serve as an entry point of other external elements like rain, hail, debris, etc. which could post potential health hazards. Question #3 – Were you hit by a harsh weather condition? Storms, hurricanes, tornadoes, high winds, hail, and many other extreme weather conditions can cause total roof destruction. 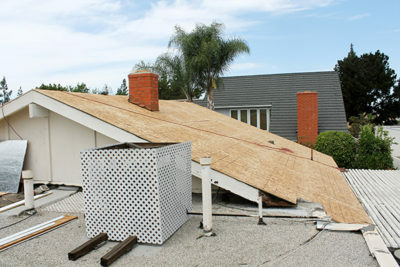 Most severe cases result to wreckage requiring property owners to rebuild a new roof. If your roofing is still within the warranty period, you can contact your insurance provider to assess coverage and discuss storm damage claims. However, if it is not bound by warranties anymore, then you can start exploring your roof replacement financing options as an alternative. Roof replacement is a complicated task. 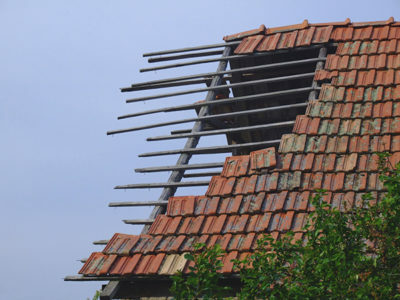 Just imagine the need to rebuild your entire roofing over again. There’s more to it because the costs could be intimidating. For homeowners and commercial building owners who do not have sufficient funds, there is a solution. With roof replacement financing options, you have the chance to pursue a badly needed roofing project. Delaying a roof replacement is too risky. Do not put your own health on the line by prolonging roofing problems. Confront them intelligently by seeking professional recommendations and industry-based insights from licensed local roofing companies. In Need of Roof Replacement Financing? Here at Miller’s Home Improvement, we offer roof replacement financing for both homeowners and commercial property owners. We understand that roof replacement can be frustrating and stressful. We make it a point to lessen your worries by offering zero interest and zero payment for up to 12 months. In this way, you will have more time to save up and gather the funds while your roofing needs are addressed the right way. Learn more about your options by contacting our roof replacement financing experts today: 248-266-8773. Don’t forget to claim your FREE estimate to get the ball rolling.